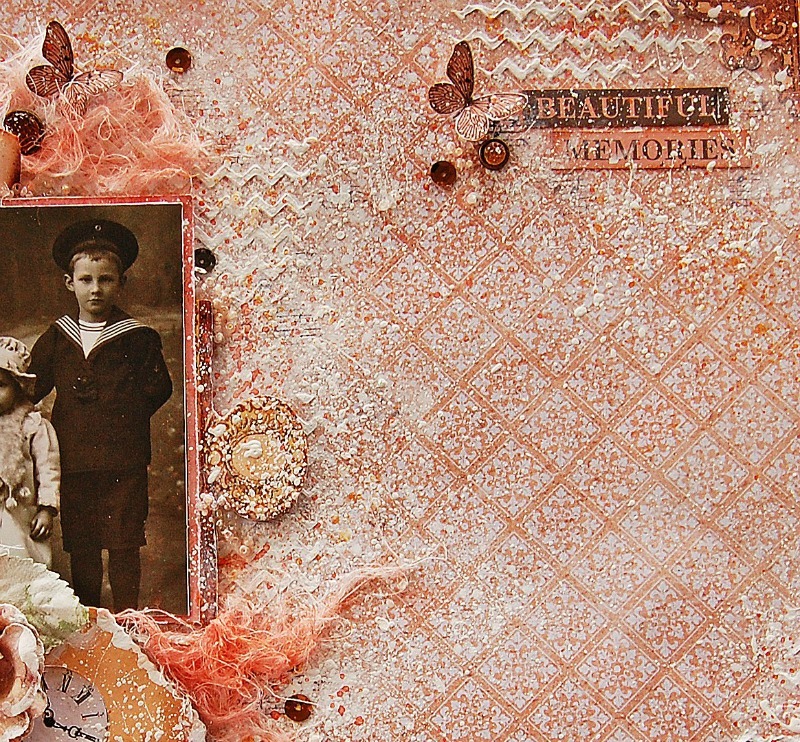 I love this paper at first sight and I knew that I wanted to create something shabby but vintage at the same time and it is the result. 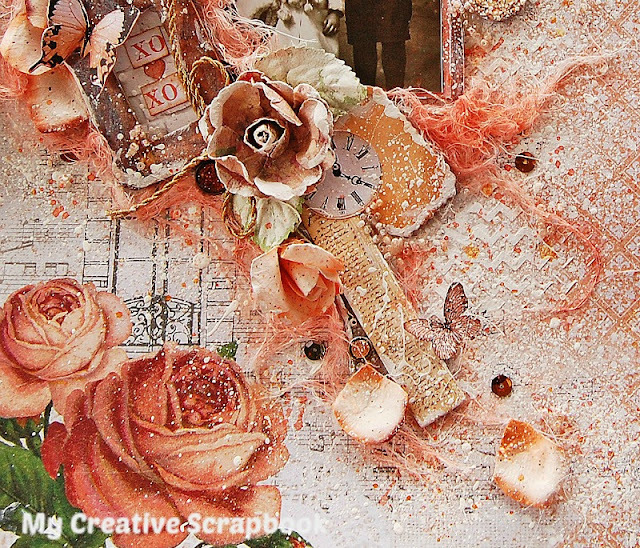 I'm not going to explain all the process because I already filmed on the tutorial but all the products that you see on this page comes in this wonderful kit, except the mixed media gesso that is from my stuff. I started to make this page with a different photo if you watch the video you will know why I changed at last minute, lol, craze mine. 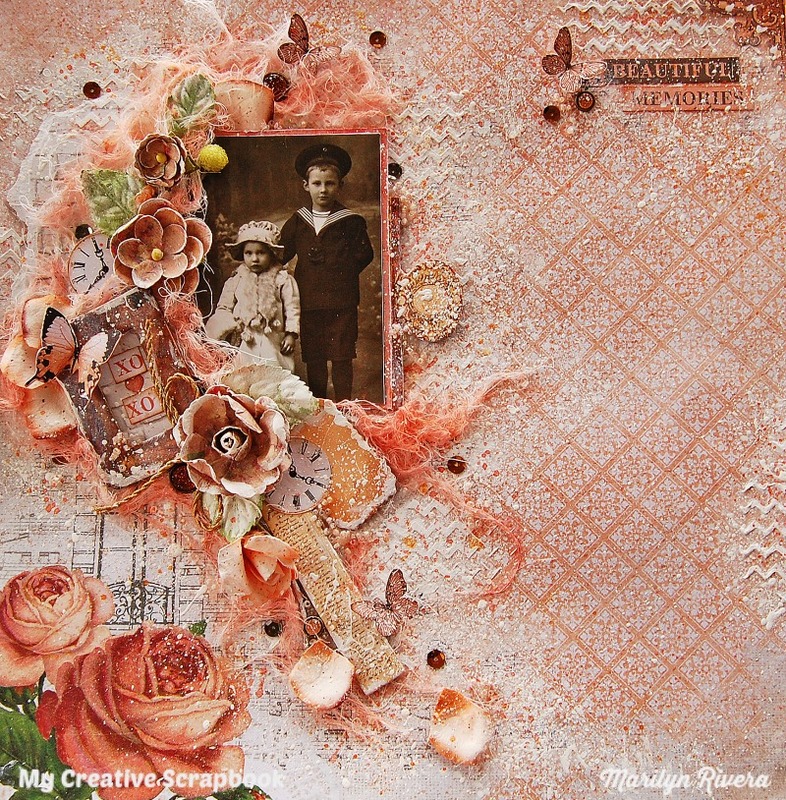 I used one of the flower vine and one of the large roses by Prima. 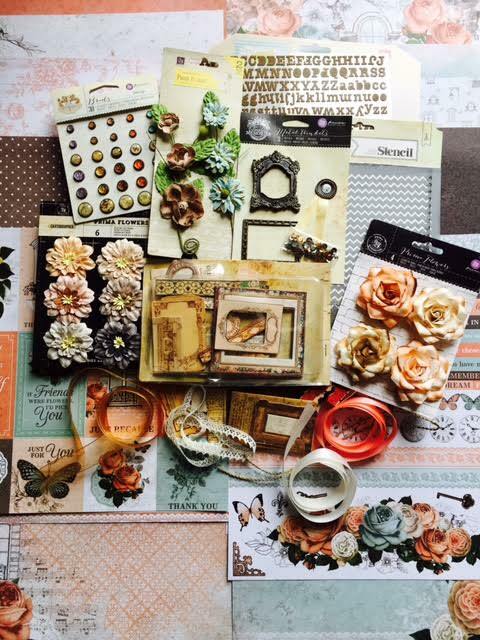 I cut out some butterflies from the Oh La la sticker sheet by Kaisercraft. 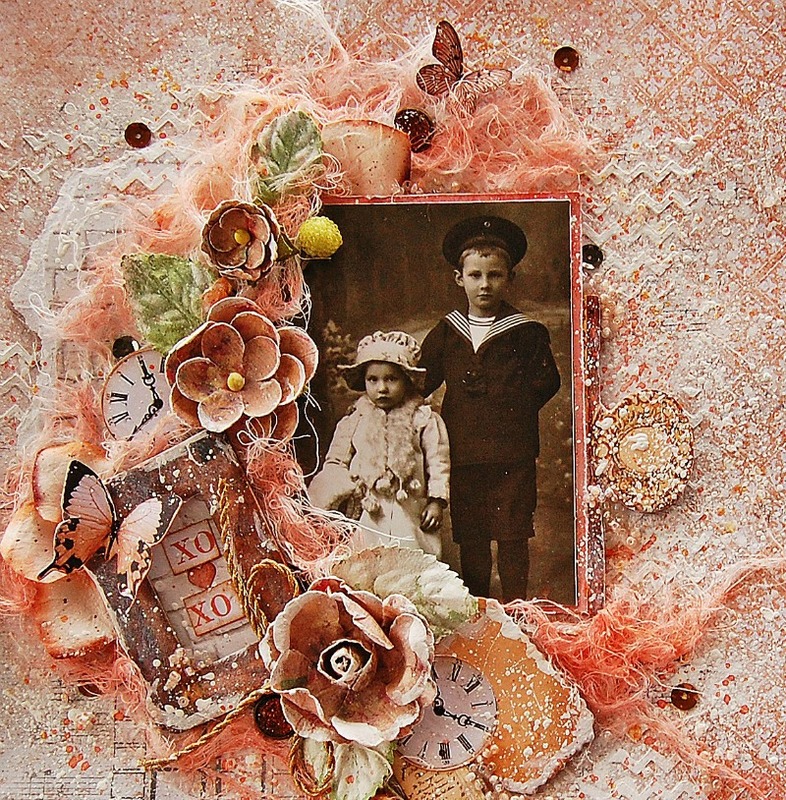 The vintage chipboard gave the perfect touch to my page and I also added some brads and sequins from the kit. I made the title using two words stickers. Here's the Video Tutorial, I hope you find some inspiration...Enjoy it!! Thanks for stopping by Until next time!! 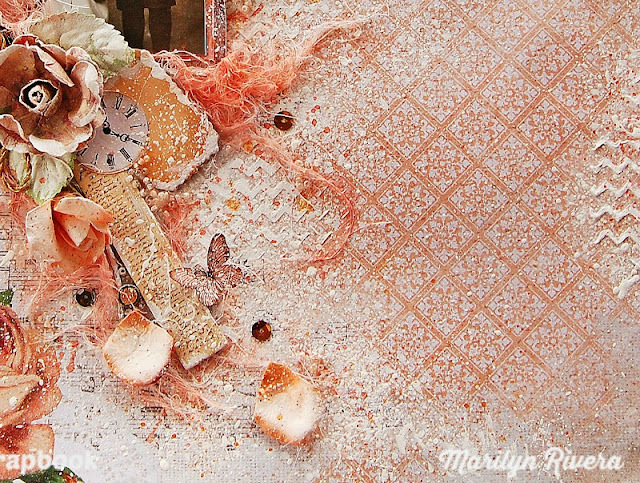 This gorgeous layout really caught my eye ...I've checked out your video tutorial ..loved it. 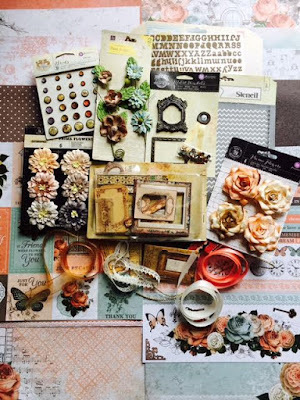 January Sketch Challenge- My Creative Scrapbook!